Bagging can be applied in a thin coating where brick outlines are still visible or in a heavy finish where bricks are completely covered. 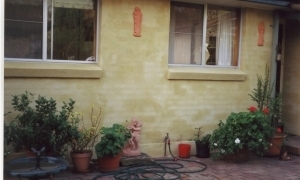 It is then finished with a sponge to a natural cottage look. 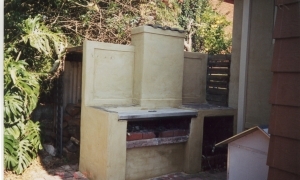 Bagging can be done with either render then painted or an oxide mix. This is also very popular on garden feature walls.